Becoming a pro in HTML5 isn't much of a tougher task, provided you have the right resources at hand. HTML5 has been growing in popularity right from its release. Used for structuring and presenting content on the world wide web, this markup language is also purposed to eliminate the need of using Adobe Flash, a third-party software. HTML5 is a set of standards and APIs that are supported by major browsers. That said, HTML5 isn't therefore a single entity. Also, semantic tags in HTML5 offer the best start due to their ease of using, thereby helping to improvise the web page structure and readability. So why opt for HTML5? Many are the reasons; it has got an improved code, enhanced semantics, improved accessibility, elegant forms, smarter storage, geolocation support, cross-browser support, and enables the development of games. As a developer, are you aspiring to be a HTML5 wizard? If so, picking up some right books to learn is important. Given the fact that there are many books in the market, it would be confusing to choose. 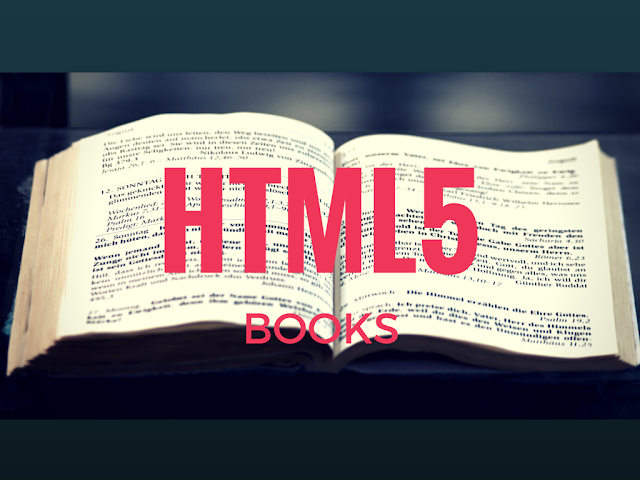 Here is the list of 10 best HTML5 books that are reviewed, making it easy for you to choose one. It is an amazing book for beginners who wish to build their next web design and development project with the latest HTML5 version efficiently. This book is the first fast move to get to know the basic significant things in the latest version of HTML. The quality writing and useful information makes this book highly influential for the developers to understand things to create their own web application with the latest technologies with ease. The authors of this book, Bruce Lawson and Remy Sharp, offer you real-time examples. This amazing book titled ‘Introducing HTML5’ not only introduces you to the new version of HTML5 but also covers most of the significant topics. It includes new semantics for improvised codes, new structural elements, texts, forms, canvas, video, audio, to name a few. Beginning HTML5 and CSS3 is an exceptional book aimed at learners possessing basic knowledge of HTML and CSS. The authors Christopher murphy et al., with their depth of knowledge and years of experience have written this amazing book. This book makes it a cakewalk for learners to get a robust understanding of HTML5's new features and elements. Learning the now available efficient code will be easier. Also, all about learner and cleaner is dealt in an easily understandable manner. The book, laden with practical and real-world examples, is a must read for anyone aspiring to become proficient with the next-generation web standards. In addition, web designers are also introduced to the advanced styling flexibility and structural integrity of CSS 3. Concepts like HTML5 structural sections are given emphasis with a practical approach. The authors throw light on the new features of HTML5 and CSS3 layouts, creation of transitions and animations with no use of Flash, and importantly, web typography solutions. It would be a daunting task for web designers and developers to learn new technologies that bring with them more tags. HTML5 solutions is one book that offers a detailed solution to your determination to learn. This book, written by Marco Casario et al., teaches you to display video and audio natively in HTML. Added to that, learners can also get to know the know-how of creating real-time graphics on a web page, that too, with no necessity for a plugin. So for whom is this book meant for? All those web developers and designers who are looking for pragmatic advice on matters of making HTML sites work can go for this book. The author has dealt on a number of concepts like multi-bitrate videos sending, creation of custom video components and some other such as, programming a custom video controller. Apart from these, concepts such as canvas designing with custom gradients, desktop to the browser dragging of data, creation of HTML5 web sockets are thoroughly covered. All that said, it is certainly a very helpful book for developers and designers intending to progress their current knowledge and skills. Written by Mark Pilgrim, HTML5: Up and Running is a 10-chaptered book, and is a must read for developers looking to make a smooth transition from HTML4/XHTML to HTML5. What is more interesting about this book is the numerous illustrations and compatibility charts that it offers. Alongside, this must-read book also lays emphasis to full HTML5 ecosystem and also the associated APIs. Related W3C APIs surrounding the HTML5 specification have been covered in a well-laid pattern. Reading this book also means that you will gain a complete working knowledge of the communications API, geolocation API. Also, you will obtain extensive knowledge of web storage and also the drag and drop functionality. All that said, The Definitive Guide to HTML5 is a must read for web developers and designers intending to further their HTML5 skills for creating modern and standards-compliant websites. The book is a one-stop solution for developers who are eager to master HTML5. HTML5, which is also a collection of numerous independent web standards, is explained in an easy to understand manner. Reading this book helps developers to build web applications that comprise video tools, geolocation, offline features, graphics and responsive designs. Though the book doesn't touch every aspect of HTML5, it is commendable that it helps web developers and designers to commence HTML5 and CSS3 integration into the websites. The authors have very well attempted to describe the evolution of HTML5. Also, they made it a point to compare HTML, XHTML and HTML5. While the first part of the book introduces the evolution of HTML and XHTML, HTML5 new tags and structuring of web pages using these tags, the second part is in-depth and deals with HTML5 forms, HTML5's new input types, the new HTML5 audio and video tags. Besides, the authors of the book have also dealt about the HTML5 canvas in an easy to understand way. In the third part, desktop-style features of HTML5 like local storage, web sockets, geolocation and history management are accorded priority. The book is highly recommended for anyone who wants to excel in the field of web development and web designing. Head First HTML5 Programming separates complex technical concepts in an easy to understand manner in the form of question and answers, quizzes, puzzles, and interviews. The learner will find this way of learning interesting. The book will be your new friend when learning and mastering HTML5. You will get to learn the new elements and techniques of HTML5 using the easy to understand, highly practical examples offered in it. As you read through each chapter, you will come to learn all that you could do with HTML5 by mastering it. How to program audio or video playback, how to integrate geographical data into applications and pages is presented in a beautiful manner. The writers Bernd Oggl and Klaus Forster have also spoken about the new HTML5 semantic markup in detail. What sets the book apart from the rest is the chapter on canvas. The chapter is complete and in detail. Many examples are provided on what can be done with canvas complete, making it a must-read chapter. HTML5 Games Development by Example: Beginner's Guide is true to its name. It's a beginners guide with each chapter written in a very good format. The book is so good in teaching readers to create action games, multiplayer, puzzle games, etc. So what could be learned by reading this book? You get to learn adding physics to canvas games, using Box2D physics engine. It is not all; you are also thought how to add sounds to games, how to layers in canvas games, how to store game data by utilizing local storage, and much more. In all, the book offers simple but detailed tutorial that assists you in creating a wide number of games. You will see a gradual progression when learning the creation of games, starting from how to create a ping-pong game, to the more complex ones. The book, however, may not be recommended for people who aren't much attracted to creating games. Fortunately, the book can be read by beginners as well as experts alike. Every specific tag, style and function is informative and is explained by the use of fully functional examples.